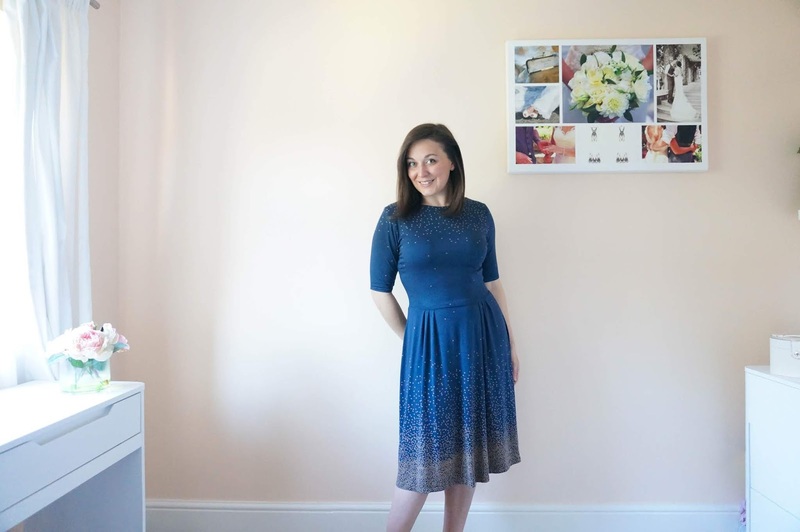 It feels a bit odd putting this pattern into most worn as I've only made it this year but I'm already getting lots of wear out of my first hacked Moneta, and this second modal version is also out a lot lately too! This is one of those times when you buy a fabric just because you love it, and then take ages to decide what to make with it. As it happened I realised I needed a dress that would look elegant enough to wear in a nice restaurant, but was also appropriate for daytime rather than evening. It might also be the first time that I have used a border print fabric like this so I really wanted to do it justice and make best use of the pattern.